← gluten free jerk marinade: great for barbecue season! Heat griddle or pan to 350 degrees. Make a well in the flour and add the mashed beans and the water. Mix with your hands until the dough comes together. Form into a large disc and divide into 8 pieces. For each piece, roll into a ball. Using a rolling pin, roll out to approximately 8 inches between two sheets of lightly floured parchment paper to keep from sticking. These will roll out very thin. Remove from the parchment and place on preheated grill. Cook for approximately 2 minutes per side. This entry was posted in Lunch and Dinner, Recipes and tagged bread, dairy free, gluten free, potato flour, quick and easy, teff flour, vegetarian. Bookmark the permalink. 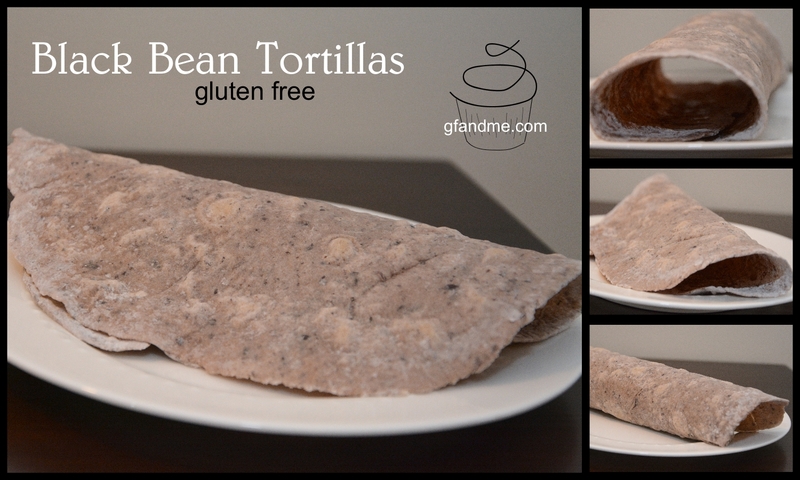 I have been looking for a good tortilla that doesn’t fall apart or crack when you try to make a wrap. I’ll give these a try. Thanks justforourhealth! These don’t crack and we love the flavour and texture. These tortillas look amazing! Pinning.